Now an AMC Original Series starring Julianna Margulies. Plum Kettle does her best not to be noticed, because when you're fat, to be noticed is to be judged. She is biding her time at a job answering fan mail for a popular teen girls' magazine until she can afford weight-loss surgery. But lately she is being followed by a girl in outlandish clothes and combat boots. 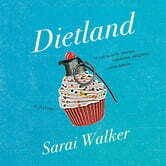 When Plum finally confronts her, she finds herself falling into the mysterious world of Callie House, where an odd collection of women orbit around Verena Baptist, daughter of a famous diet guru. Verena offers to give Plum the money for the surgery, will force her to confront her past, doubts, and the real cost of becoming "beautiful." 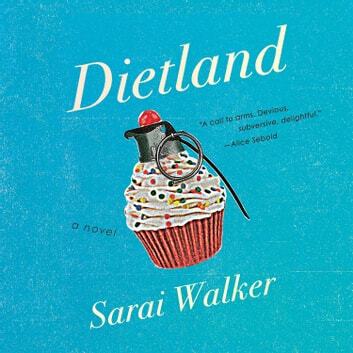 Dietland is a scathing and revolutionary debut that takes on the beauty industry, gender inequality, and out obsession with weight loss-from the inside out, and with fists flying. Anyone who can't look at a menu in a restaurant without subconsciously calculating calories, will relate to this book in a profound and unexpected way, as will anyone who has been the victim of sexual assault of any kind. In otherwords, almost every woman.